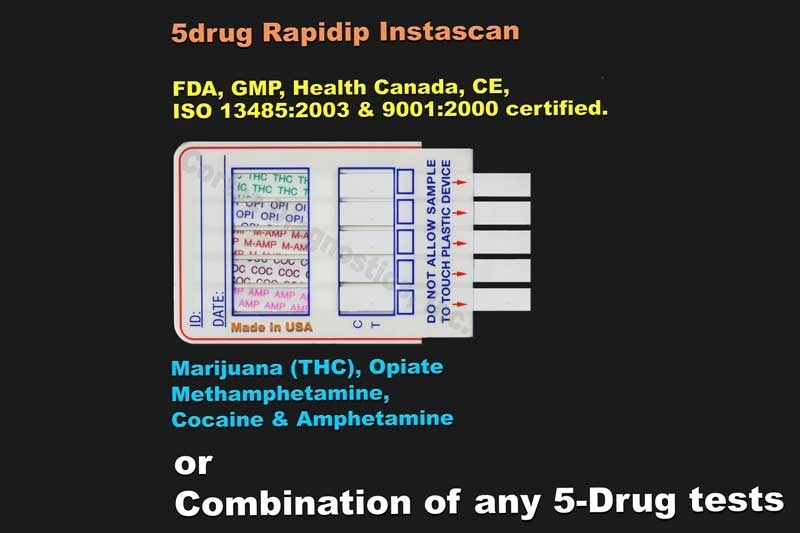 Benzodiazepine Drug test, (BNZ) Drug test |FDA-CE| 818-591-3030 USA. 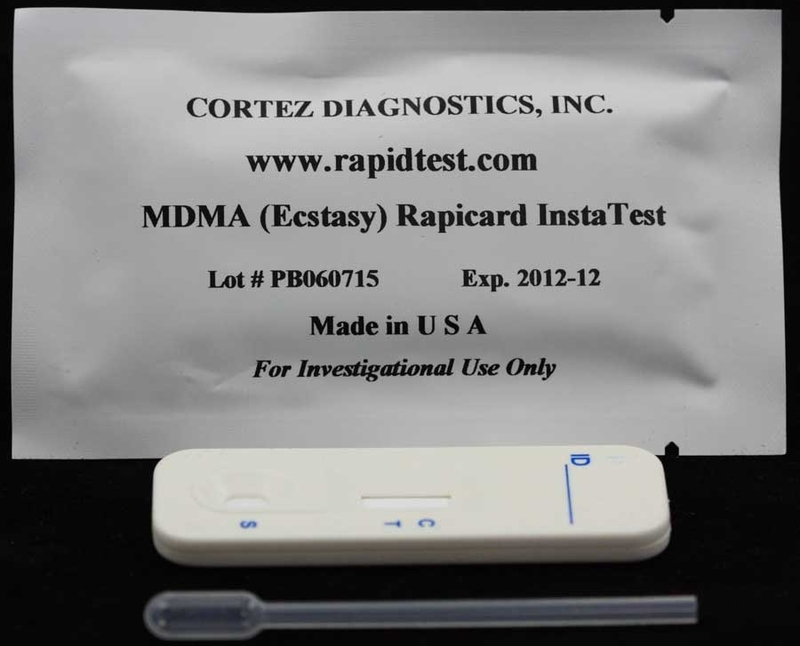 The Diagnostic Automation/Cortez Diagnostics Inc Benzodiazepine Drug Rapid Test (BNZ Drug Test) or The Diagnostic Automation/Cortez Diagnostics DOA (Drug of Abuse) test is a one-step immunochromatography test. Our BNZ drug testing kits are designed for qualitative determination of Benzodiazepine drug substances in human urine specimens. This assay may be used in the point of care setting for diagnostic and forensic use. anxiolytic, hypnotic, anticonvulsant and muscle relaxant effects. Chronic abuse can result in addiction and tardive dyskinnesia. Acute higher doses lead to drowsiness, dizziness, muscle relaxation, lethargy, coma and possible death. The effects of benzodiazepines use last 4 â€“ 8 hours. Many of the benzodiazepine drugs share a common metabolic route, and are excreted as oxazepam and its glucuronide in urine. Oxazepam is detectable in the urine for up to 7 days after drug use. However, the length of time following drug use for which a positive result may occur is dependent upon several factors, including the frequency and amount of drug, metabolic rate, excretion rate, drug half-life, and the drug userâ€™s age, weight, activity and diet. The Cortez OneStep BZD RapiCard InstaTest is based on the principle of specific immunochemical reaction between antibodies and antigens to analyze particular compounds in human urine specimen. The assay relies on the competition for binding antibody between drug conjugate and free drug which may be present in the urine specimen being tested. When drug is present in the urine specimen, it competes with drug conjugate for the limited amount of antibody-dye conjugate. When the amount of drug is equal or more than the cut-off, 300 ng/ml of oxazepam, it will prevent the binding of drug conjugate to the antibody. Therefore, a positive urine specimen will not show a colored band on the test line zone, indicating a positive result, while the presence of a colored band indicates a negative result. See product insert for more details and additional information. The cutoff level for this Benzodiazepine Drug Test (BNZ Drug Test) is 300 ng/ml of oxazepam. For customized cutoff level benzodiazepine drug tests, please contact Customer Service. 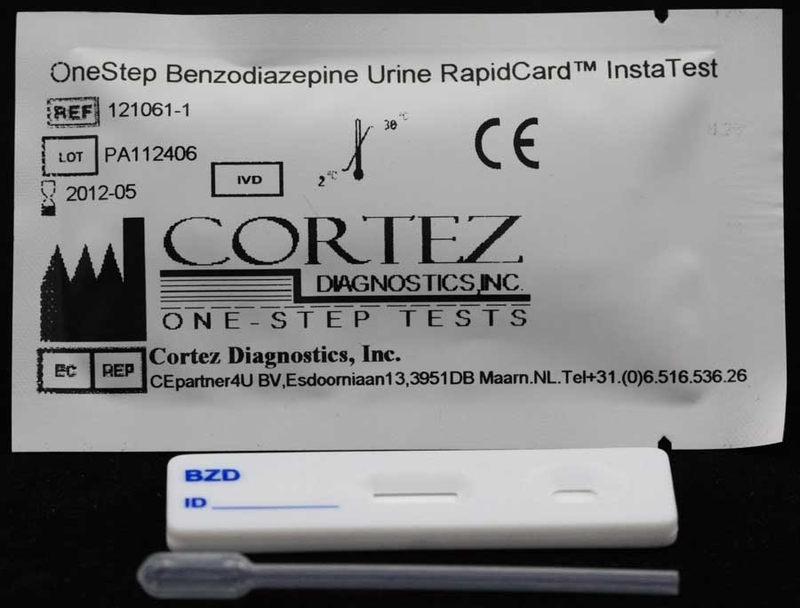 This Benzodiazepine Drug Test (BNZ Drug Test) is available in multi-panel, cassette, strip, or cup format. 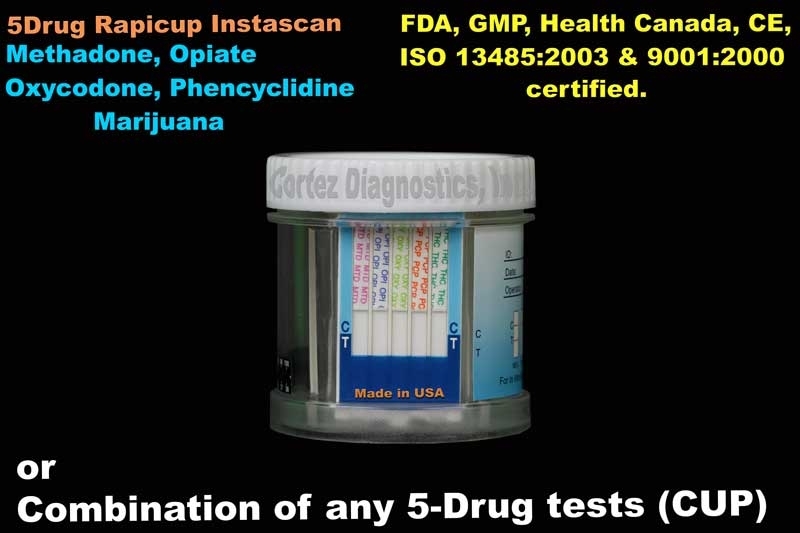 Diagnostic Automation/Cortez Diagnostics offers additional drug tests. Please see our home page product list, or contact our Customer Service Representatives for more information.